The toothbrush has been voted the most necessary invention that people can’t live without. No matter where you go in the world, people are using toothbrushes to clean their teeth. 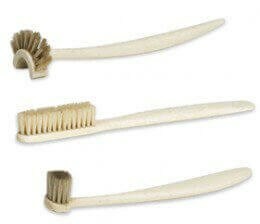 The need for clean teeth has been a major factor in life throughout history. 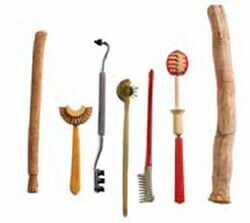 Tribeca Smiles would like to educate our readers on the authentic history of the toothbrush. There have been a wide variety of oral hygiene methods that have been used to clean teeth since before history was even recorded. 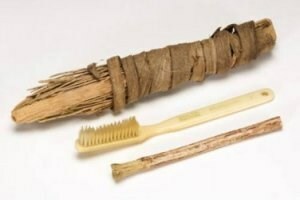 Over the years, archaeologists were able to find chew sticks, tree twigs, bird feathers, animal bones, porcupine quills, and more that were all designed to clean the teeth of our ancient ancestors. Take a look at the infographic below for a more visual breakdown of the history of the toothbrush. Everyone needs a toothbrush. Schedule your next dental cleaning and exam at Tribeca Smiles where all of our patients walk away with clean teeth, and their own FREE Oral B toothbrush, toothpaste, and dental floss. Here at Tribeca Smiles we believe that a smile goes a long way. This entry was posted in Tribeca Smiles Dental Blog and tagged dentist nyc, dentist tribeca, HIstory of the Toothbrush [Infographic], oral health history, toothbrush, toothbrush history, toothbrush timeline, where did toothbrushes come from, who invented toothbrush on November 6, 2014 by tribecasmiles.